Spending time with the latest and greatest tech innovations doesn't mean you have to sit around. Check out these eight tools do more than just satisfy your fix for fancy tech—they actually improve your health and well-being. Fitness monitors are all the rage, and the Jawbone Up is at the head of the class. The flexible wristband tracks your physical activity during the day, your sleep efficiency at night, and it can wake you up with a silent vibrating alarm in the morning. Check your progress, and add additional data (meals, your mood) on the iPhone- and Android-compatible app. Think of the HapiFork as your conscience in utensil form. It literally tracks your every bite, alerting you when you’re eating too quickly. All of the data that it collects—including how long it took you to eat your meal, how many bites you had per minute and how long you waited between bites—can be uploaded via USB to your online dashboard. Who is the NPower PEG’s target audience? 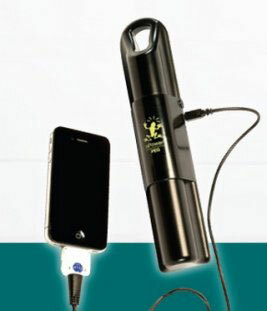 Anyone who has experienced that familiar flash of panic when your phone battery dies—and you’re nowhere near an outlet. (In other words, everyone.) This revolutionary gadget charges handheld devices through movement—running on the treadmill, biking and even simple walking—making it ideal for everyone from business travelers to alpine trekkers. If you thought inner peace and technology were mutually exclusive, think again. 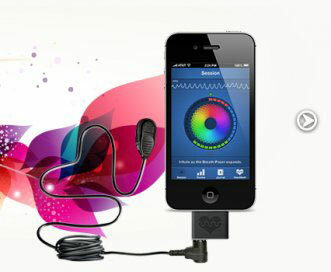 The HeartMath Inner Balance Sensor (compatible with the iPad, iPhone and iPod) gauges the quality of your meditation by measuring your heart rate, pulse and overall coherence. It can also train you to adjust your heart rhythm pattern to achieve a healthier state. Swimming laps may be fantastic exercise, but it can get a bit repetitive—and the endless whoosh-whoosh you hear underwater doesn’t help. Enter the Speedo Aquabeat 2.0. 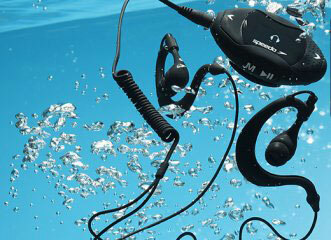 The waterproof MP3 player clips to your goggles, comes complete with waterproof earphones, and holds up to 4GB worth of songs, podcasts and audiobooks. 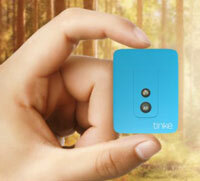 Like other fitness monitors on the market, the Tinke measures heart rate, but it also takes the stats a bit further by registering your blood oxygen level, respiratory rate and heart-rate variability. It even has a “Zen Index” that helps to track your stress levels. The Withings Smart Body Analyzer may look like your average scale, but it’s so much more. In addition to registering your weight, it also analyzes your BMI and heart rate—and can even measure the air quality in your house! All of the data is automatically uploaded to the “Health Cloud,” which you can access on a smartphone. Ever wanted to ride the Tour de France? 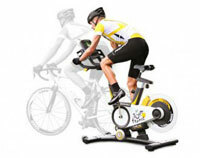 With the ProForm Tour de France cycle, you can train at home. The stationary bike has an Android touchscreen console with built-in Wi-Fi that allows you to “ride” anywhere in the world where there’s a Google map. The geodata in the map also automatically adjusts the bike’s incline and decline to mimic the mapped terrain. It’s certainly a splurge—until you consider that you can ride routes in France one day, South America the next, and Australia the third.